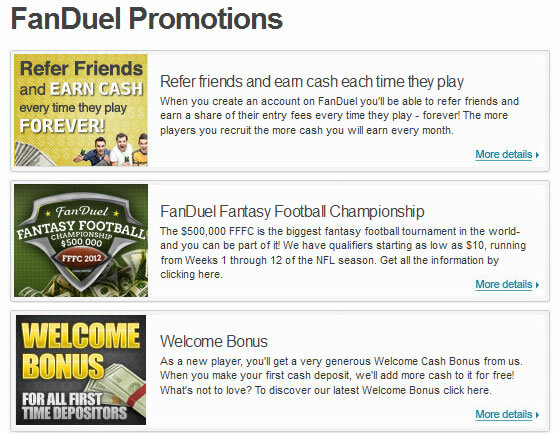 Fanduel is the one-week fantasy football site for cash that we play at every year. The reasons why we play here are many. 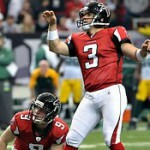 This review will cover those reasons and provide in-depth info on this fantasy site. 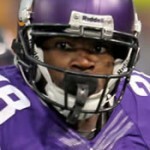 Fanduel offers the opportunity to play in the largest one week fantasy sports leagues online. 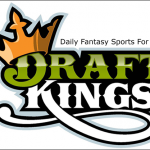 They are the top online daily fantasy sports site out there, and one that offers some excellent daily and weekly fantasy football options for players, which is excellent leading up to the upcoming 2013 NFL football season! You will find that there are many different types of games offered on their site including head to head matches, large contests against multiple players, guaranteed prize pool tournaments, and many other things as well. Today though we are going to take an in-depth look at Fanduel, and look at all of the different things that they will offer for the upcoming fantasy football season. different scrolling banners with information, as well as a customer service section to help out also. You’ll also notice the fact that they have a phone number on top to contact them if you need anything as well. You should maximize your bonus offers when you sign up by using the top fanduel promo code of KICKASS. The different sign-up bonuses that are offered on Fanduel will depend on how much you deposit onto the site, but they are a great way to build up that bankroll. For starters, if you deposit only $10, you will receive a $5 bonus, if you deposit $25 you will get $10 for free, if you deposit $100 you will get $20 for free, and if you deposit $200 then you get $30 for free. On top of that though, if you end up choosing any of these deposit bonuses after creating a new account, you will also get automatic entry into the weekly freeroll that they run for an even better chance to build up that betting account! Last but not least though, is the $5 refer a friend bonus that is offered to any player who gets a friend on the site and they make a deposit. 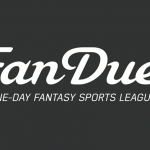 In terms of daily sports fantasy sites, Fanduel probably comes in as the most well-known out there. They’ve simply continued to grow from the word go, and I wouldn’t be surprised to see them simply get better and better in the coming years as well. They have some very strong traffic, and are really considered to be the “go to” in the daily fantasy sports leagues currently, mainly since they are the largest out there. They process payouts quickly so that you never have to stress about getting your money, and you’ll find that their customer service team is incredibly impressive as well. The scoring that Fanduel uses is just as you’ll find at standard fantasy football sites. This means that you are going to get 6 points for a passing touchdown, 1 point for every 10 rushing yards, 1 point for every 10 receiving yards, and so on from there. They’ve done this to keep things as simple and straight forward for all players, and it also keeps the playing field even for the players who are used to playing the standard 10 and 12 team fantasy football games with their friends. There are hardly ever complaints about the scoring on Fanduel as well. The game selection for the weekly NFL games on Fanduel are excellent. There are many different levels of games for all types of players, including high stakes games for the players who really like to gamble, and freerolls for players who are looking to build up their accounts without having to risk much money to do so! There are tournaments that have guaranteed prize pools for players regardless of how many people buy-in, and also head to head matches if you want to go against a friend, or just someone completely random for an attempt to double up your entry fee from a single game. The draft room at Fanduel is incredibly easy to use, and is actually one of the favorites of the players on the entire site. Things move incredibly smoothly and fast when you are choosing your team, so you can always make those last second changes if you need to. When playing you can also track and discuss the games through the chat box on the side of the screen if you were interested. In terms of the overall salary that you are going to have, that will be updated as you are choosing your players so you are constantly aware of how much you have remaining and what level of player that you will be able to draft! You’ll find that the one thing that Fanduel really does not offer is the daily news updates on their site. They’ve simply focused on completely keeping things up to date with the fantasy aspect, and they do not offer day to day news, or offer injury and game log information to players on the site either. As far as the rake on Fanduel goes, they make sure to keep things fair for the players as they take a 10% rake on all games that go up to $50, and when you go to games that cost $109 or more, you will see that the rake drops off and gets a bit lower. $109 games will take a 9% rake, $270 games are going to take an 8% rake, and $535 games are going to take a 7% rake. Fanduel gets high scores pretty much across the board, and if you are looking for a daily fantasy sports site for the upcoming NFL season then you really can’t go wrong by choosing Fanduel as your go to option!